BookGrow serves as a hub for our suite of reader focused Kindle book distribution platforms, our author marketing strategy Facebook community, as well as our in-house Kindle author marketing services. Founded in November 2012, BookGrow has grown to become a network with over 1,000,000 app users, more than 200,000 email readers and in excess of 3,500 author clients. We help deal hungry readers discover great new Kindle books which are either listed as free or have significant price reductions. Our proprietary algorithms trawl Amazon and other major online book marketplaces to pull out the best deals on the best Kindle books. On the promotional side, we help Kindle authors to massively increase their discoverability by sharing their books to our networks of readers. To find out more about what we do please check out the BookGrow Project Portfolio. 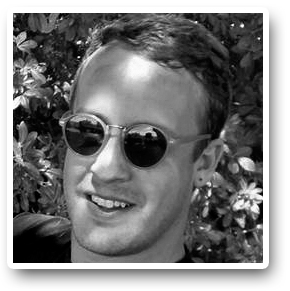 James is the founder / developer of BookGrow and all of it’s subsidiary platforms and apps. James began working in the field of viral video advertising as account manager in London digital agencies from 2004. Working with major global brands, including Adidas, Aston Martin, Unilever, Ford and many others, James then moved from branded content into the emerging field of social media marketing, before setting up BookGrow in 2012. He now continues to develop and explore new and exciting ways to connect authors with readers in the rapidly evolving digital book marketplace. Over the past few years we’ve built up our own Kindle book distribution network which delivers free and price-dropped books to deal hungry Kindle readers. Distribution channels include our rapidly growing email list and our Android driven Kindle deal apps. On your behalf we can blast out customised promotions to our network, giving your book a significant and quick boost in downloads which achieves the twofold effect of higher Amazon rankings and an ongoing, increased rate of residual sales. Free Book Feed is a site designed to deliver dozens of the best free Kindle books to readers on a daily basis through its large email distribution network. We have a script that trawls Amazon for the best rated freebies and compiles them into a single daily mailshot. Authors have the opportunity to buy a standalone HTML mailshot to our entire list. There are seven slots available per day for these author promotions. Price Dropped Books is a Kindle book discovery platform which delivers books with a more than 50% reduction to avid, deal hunting Kindle readers. On the author side, we can promote any Kindle book at any price point, so long as it has a reduction of over 50% at time of launch. This promotional dynamic opens up more opportunity for authors as nearly all promo sites only accept freebie or $0.99 Kindle books. We aim to expose your work to an audience which is both discerning in their taste and one that is willing to spend a little more for quality books. KarmaReads is a unique platform which enables readers to connect directly with new and exciting authors. In exchange for a social share, readers are allowed to connect with and then download an author’s book for free. For authors, this provides an amazing opportunity to virally build their own mailing lists and build a loyal fan base. Why let your free Amazon promos blow in the wind, when you can build a real connection with everyone who downloads your work? Book Review Broker is a review acquisition tool designed with self-published authors in mind. If you want to find out how to ethically source the best quality reviews for your books, giving them the attention they deserve, then click the button below and we’ll show you how! Book Tortoise offers yet another unique promotional tool for authors. Rather than spiking in rank then trailing off with traditional quick fire promos, Book Tortoise is designed to work in harmony with Amazon’s ranking algorithm by delivering a continuous flow of sales and downloads from your sales page with the view of steadily and organically building your Amazon rank over time.